Becca Thorne Illustration: Happy Chinese New Year! And a (more than a little late) Happy not-Chinese New Year too! 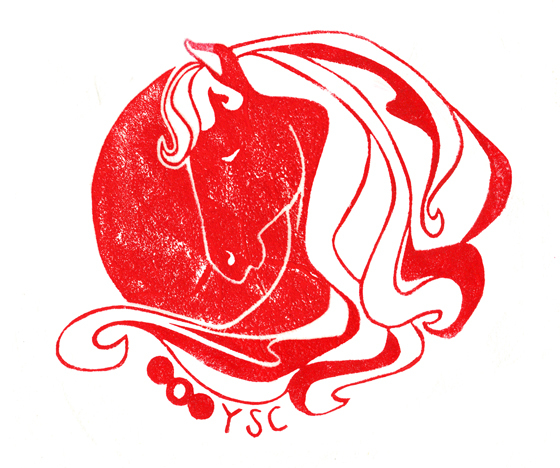 I created the above piece for YSC, to be used as an e-card celebrating the new Year of the Horse. Aside from illustration stuff I've yet to share (I'm very much looking forward to the release of Caroline Taggart's new cakey travel book, A Slice of Britain, which I illustrated - I received my advance copy recently, from AA Lifestyle, and it's fabulous) there are also a few non-illustration bits from last year that I never got round to sharing. I did a lot of them in December and forgot to take proper photos before I wrapped them as Christmas presents, so most of these photos were either kindly taken on camera phones by the recipients or by me as works-in-progress, so please excuse the image quality. Man-sized ones on the left, after a fair bit of wear, and women's on the right, still in production ('scuse the state of my sitting room). I used Erika Knight's lovely Vintage Wool, which is made entirely in Yorkshire, with environmentally friendly techniques. It turned out to be surprisingly easy once I got on with it, though I did use the wrong size wool, so had to reduce the number of stitches in each row. 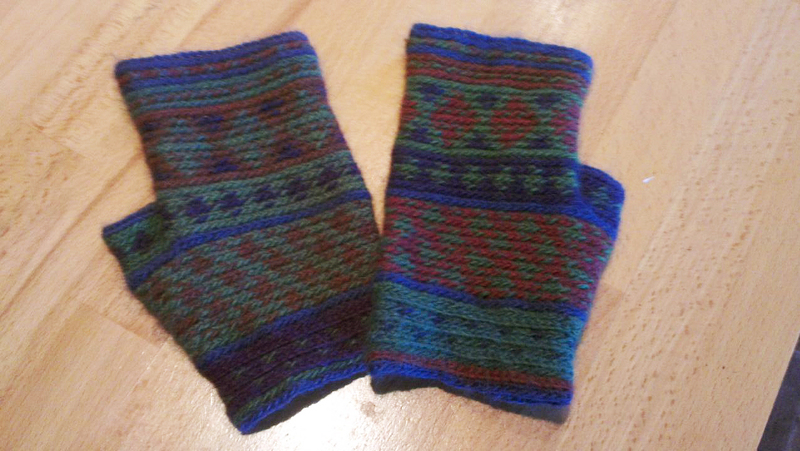 This made them a tad too long in the fingers and a tad too tight around the middle, but the wool is just so soft and cosy it was totally worth it (it's Rowan Alpaca Colour). 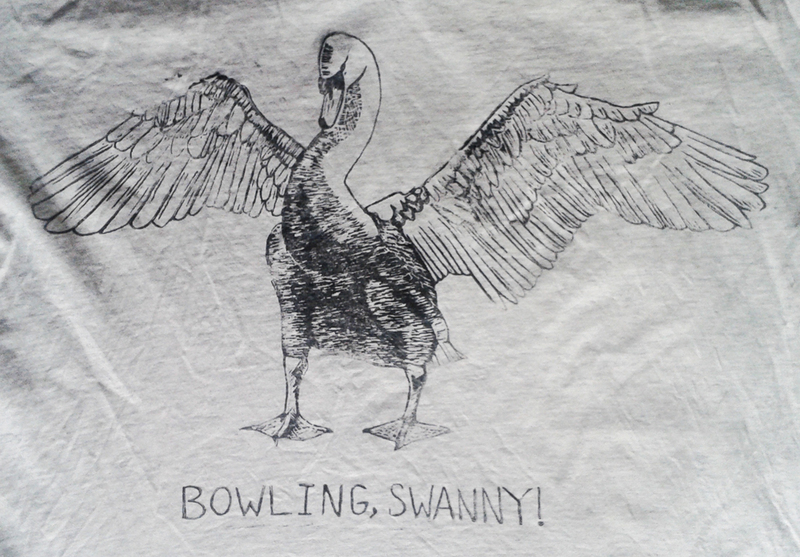 and a commemorative "Bowling, Swanny!" tee for Rowan. For all you non-cricket fans, 'Swanny' is an English spin bowler who retired from test cricket just before Christmas. 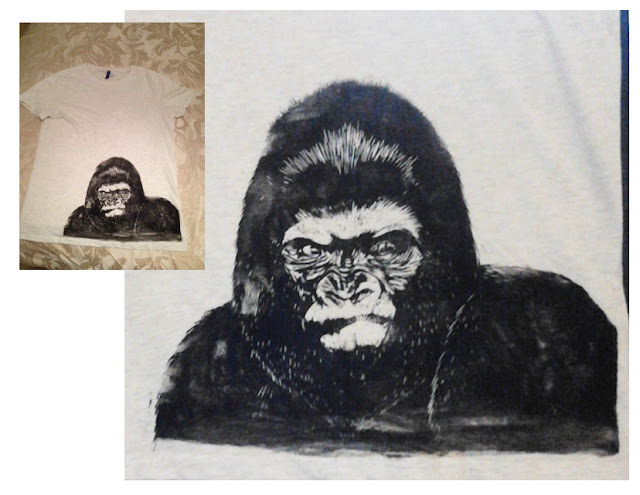 Rowan asked me to make this T-shirt ages ago, so it was now or never. 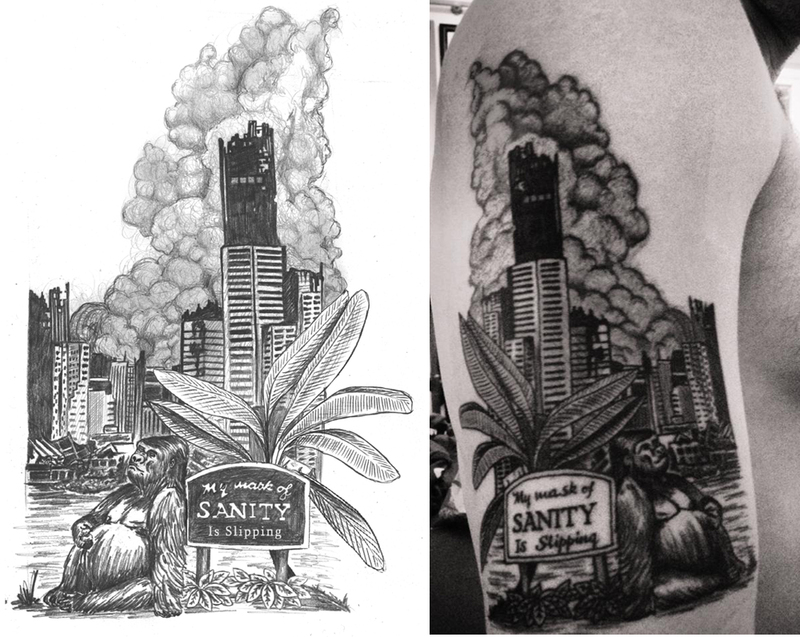 Both are printed on H&M organic cotton tees. In allotment news, I finally managed to grow decent-sized celeriacs (which the bugs are taking more than their fair share of, the thieving swine) and had such a glut of berries that I made several batches of gooseberry ice cream, some not-exactly-perfect raspberry & honey frozen yoghurt, raspberry vinegar, a lot of jams and chutneys and my own gooseberry and damson wines (outcome TBA). But, to balance that out, my celery has been more trouble than it's worth and some douchebags broke onto the site and stole all our tools. So, swings-and-roundabouts. My greatest achievement this year? Learning how to make sourdough bread using the River Cottage Bread Book - I've been making two or three loaves a week ever since. No more crappy shop-bread!